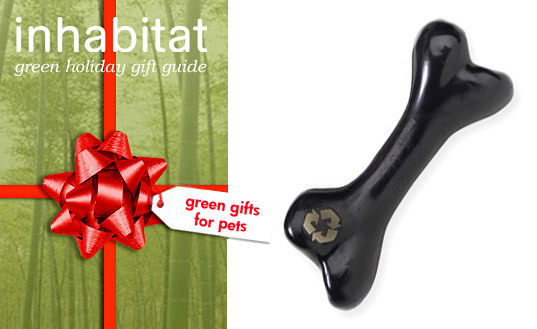 This holiday season reward your furry and feathered friends with a green gift from Inhabitat’s Green Gifts for Pets Guide. We’ve rounded up 15 eco-friendly presents, all sure to bring forth tons of slobbery kisses and tail wags. From an incredible modern side table that also doubles as dog house to an awesome cat scratching pad shaped like a DJ turnstile, check all of the cool gifts we’ve scouted ahead! This holiday season reward your furry and feathered friends with a green gift from Inhabitat's Green Gifts for Pets Guide. We've rounded up 15 eco-friendly presents, all sure to bring forth tons of slobbery kisses and tail wags. From an incredible modern side table that also doubles as dog house to an awesome cat scratching pad shaped like a DJ turnstile, check all of the cool gifts we've scouted ahead!